Every year numerous numbers of examinations have been conducted by the staff selection commission. The main purpose behind conducting the examination is to recruit eligible candidates for various posts in different ministries and departments of the Government of India. 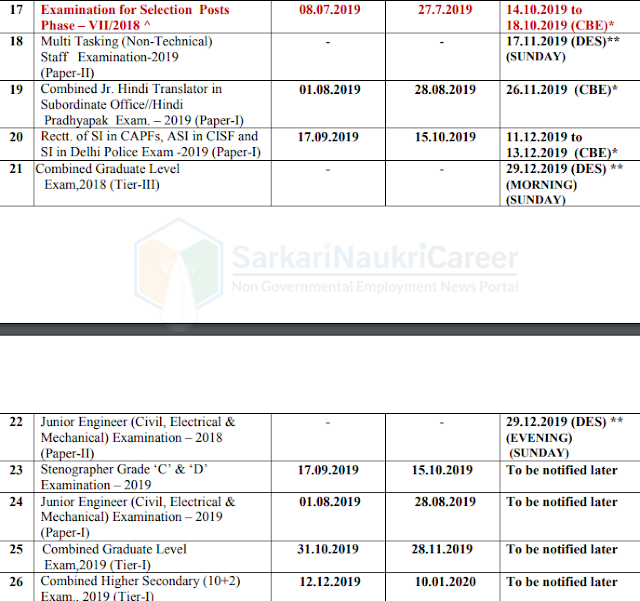 So those aspirants who are preparing for SSC examination and looking for exam dates can acquire the SSC Exam Calendar from here. Also, you can attain the dates of the upcoming exam from the official website in the PDF format. 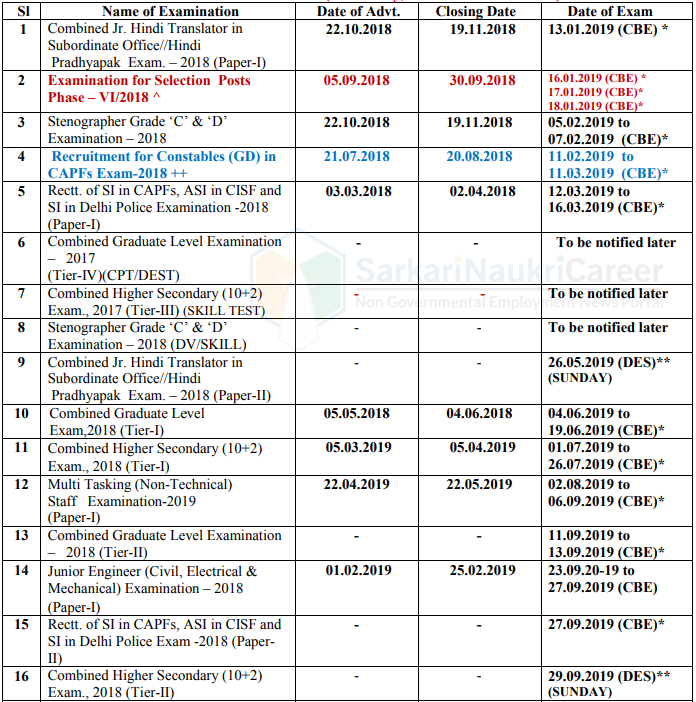 Official Calendar of SSC Examination has been declared today for the 2019 - 20. CGL, JE Examination to be conducted this year. 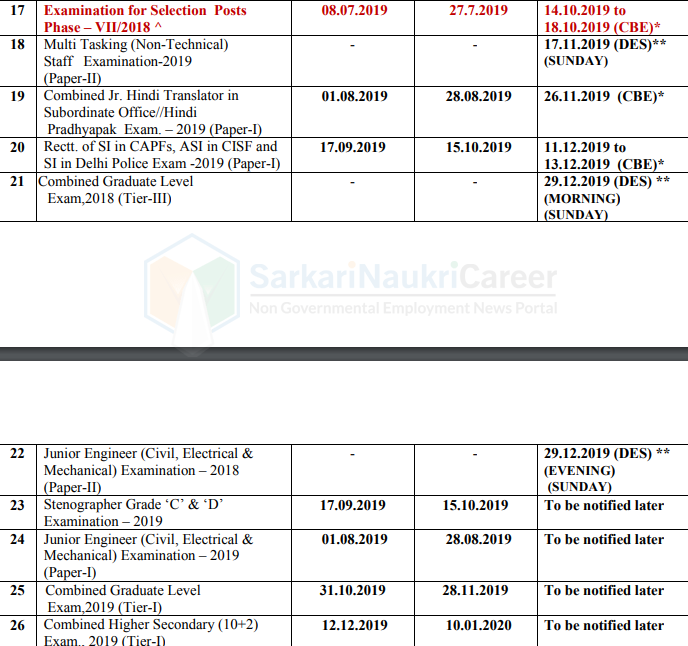 The exact dates of the calendar will be available soon, we advised you to stay with our web portal to get all the latest updates regarding SSC Exam Calendar 2019. Till than you can check the tentative dates of examination provided in the above table.